buildOn, an international non-profit, has partnered with TODAY co-host Ann Curry to raise awareness of the organization’s school building efforts in developing nations and to help construct a school in rural Nepal, one of the poorest countries in the world, through Twitter. 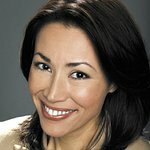 Twitter users can participate in a retweet contest to help Ann Curry spread the word about buildOn’s “Every Six Days” initiative. The Twitter user who receives the most retweets by December 15th will win a VIP behind the scenes tour of the TODAY Show and the opportunity to meet Ann Curry. There are over 1 billion people that cannot read or write around the globe. Every six days buildOn breaks ground on a new school that provides an impoverished community with access to education, helping reduce the rate of illiteracy in the world. buildOn’s “Every Six Days” initiative asks followers to donate just $6 to help build a school in Nepal. This school in Nepal will provide access to education for more than 150 children each year. Donors who pledge $6 or more will receive exclusive email updates with photos directly from the construction site. To learn more about the “Every Six Days” initiative and for contest details, click here.